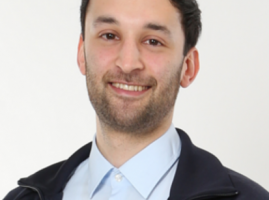 Andreas Wichmann is a research and teaching assistant at the Institute of Geodesy and Geoinformation Science of the Technische Universität Berlin. As a Ph.D. candidate he develops a fully-automatic building reconstruction approach using airborne LiDAR data. His research is conducted in close collaboration with the Department of Earth and Space Science and Engineering of the York University in Toronto, Canada. 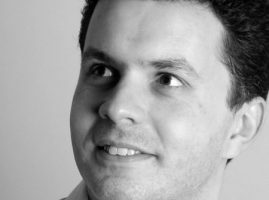 The main research interests of Andreas Wichmann focus on 3D scene understanding and modeling using point clouds. 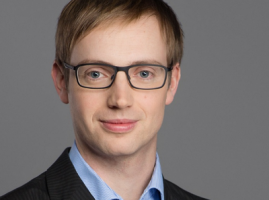 He received the Master of Science degree in Geoinformatics with distinction from the University of Osnabrück in 2013. The research of his Master thesis was concerned with augmented reality for real-time visualization of multitemporal geodata. Patrick Mast is project owner at Ubilabs. As part of a team of map geeks he works on bringing mapping solutions to the edge of technology. Ever since he received is first handheld GPS receiver in the 90s he has been addicted to maps and geolocations: locating himself on the globe, visualizing data in a geographic context, gaining new insights by analyzing geographical data. 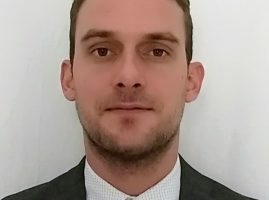 After studying Artificial Intelligence in Amsterdam he came back to Germany to first work in the marine business: locating vessels and analyzing their movement around the globe. At Ubilabs he now found his home between like minded people, focussing fully on mapping up the world. 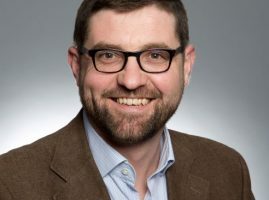 Peter Bunus has 18 years of experience in conducting research activities with the ability to bring research ideas into production and development. Prior to co-founding CyStellar, he served as the Director of the Centre of Excellence at ESI-Group and as a Research Scientist at Palo Alto Research Center (former Xerox PARC) where he worked with several defence related projects in the framework of the Adaptive Vehicle Make (AVM) program, a portfolio of research programs overseen by Defense Advanced Research Projects Agency (DARPA). 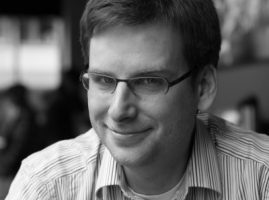 Peter was the Co-Founder of Mathcore Engineering (acquired by Wolfram Research), Co-Founder of Senion (indoor positioning and location-based services) and Founder at SystemicsCode (predictive analytics). Dr. Bunus also held an Associate Professor position in Computer Science at the Department of Computer and Information Science at Linköping University Sweden where he taught Computer Science and Software Engineering courses at graduate and undergraduate level and performed research in the area of model-driven engineering. Peter has a Ph.D. degree in Computer Science from Linköping University, Sweden. 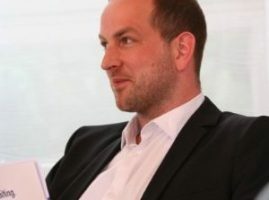 Jens Heinrich is one of the co-founders of the high-tech startup NAiSE, which was founded as a German GmbH in March 2017. NAiSE develops systems for indoor navigation in the context of Industry 4.0, especially for autonomous intralogistics with AGVs. Having been a founder of two different startups and a management consultant for high-tech enterprises beforehand, he has always been enthusiastic about turning new technologies into helpful innovations. As a studied business informatician he combines comprehension for both technical product development and scalable businesses in new markets. He found his passion for indoor navigation by meeting his co-founders of NAiSE and saw the vast potential that their solution offered. Together they developed the prototype, the business model and the use cases to make autonomous indoor navigation available for everyone. is working on mobile location based services and geo informatics since 1998. Initially he was working as researcher on pedestrian navigation at the European Media Laboratory GmbH and the University of Heidelberg. 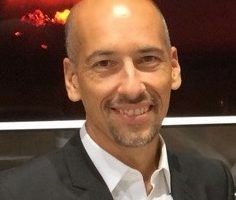 During that time, he co-developed the Deep Map technology that got later transferred to the spin-off called Heidelberg Mobil International GmbH. As one of the managing directors he is now responsible for the corporate strategy and development, but still loves to get involved in all spatial topics. 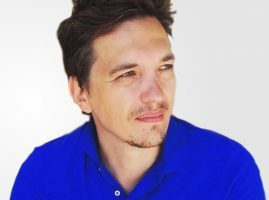 Ludovic Privat is the CEO and co-founder of CROWDLOC, a French-German startup providing a B2B SaaS platform for affordable, low power location tracking. 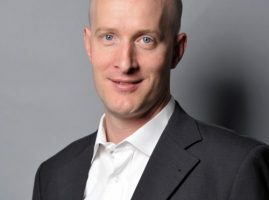 After a first career in Europe in Public Relations and marketing for consumer electronics and GPS companies (Navman, TomTom) he moved to the United States in 2006 where he launched the worldwide portal and Newsletter GPS Business News. 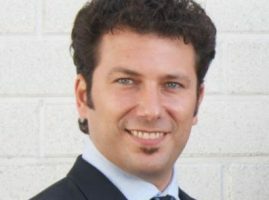 Back in Europe in 2008 with GPS Business News, Ludovic founded in 2013 the ConnecteDriver conference. 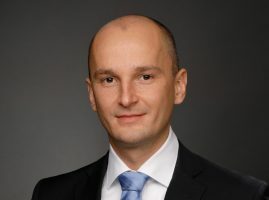 Since 2015 he is also the co-chair of the Geo IoT World conference. He advised a number of international startups in the field of connected cars & location-based services. Andreas Dunsch startet working with drones around the globe during his military career, embedding different solutions for effect based results. He learned that drone operations are highly depend on the data provided and the functionality of processes installed. He worked as a scientific assistant in the field of unmanned air traffic and started his own company FlyNex looking for solutions to the problems he discovered during his research activities. 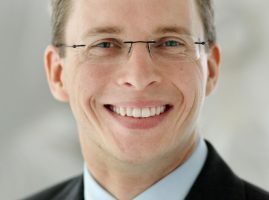 He now runs one of Germanys most promising drone tech startups to help companies who have never been involved in aviation to use drones to scale their business operations. A key factor for success in integrating drone operations into daily business workflows highly depends on accurate mapping solutions for low altitude airspace. Developing these U-Space solutions for an entire industry is one of the mission he encounters. 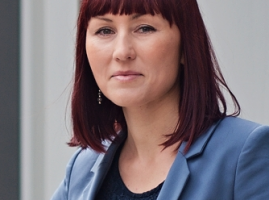 Justyna Redelkiewicz is responsible for promoting Galileo, the European Satellite Navigation System, and its use in context-aware mobile applications. After a few years of work with global chipset manufacturers, she was behind the first Galileo-enabled smartphone launched in 2016, using the European technology for location-based services. Justyna is also in charge of the market and technology research at European GNSS Agency (GSA), managing publications of annual reports on satellite navigation use in various industries. Justyna holds a Master Degree in International Business from Poznan University of Economics and MBA from Leipzig Graduate School of Management. Prior to joining the GSA, she held business management responsibilities in the telecommunication and IT industries. Juan Carlos Carvajal Bermúdez PhD researcher at the Austrian Institute of Technology. His doctoral thesis focuses on decentralized models of creativity and tools for co-creation in cities. His master thesis focused on art in public spaces and the participation of communities in the development of their environments. Since 2006 he began to explore the relation between architecture, digital media and urban space. He has developed projects that enable new forms of interaction; the participatory creation of patterns for digital facades; or enable urban communities to participate in the development of their cities. 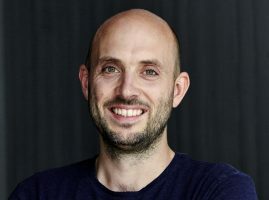 His projects has been exhibited at the Ars Electronica festival in Austria, the Media Architecture biennale in Denmark and the Media Architecture summit in Beijing. In Vienna he participated in the design and installation of a media facade for the display of video art and interactive installations. With the project “Cicloscopio” he won a Jury-award in the Velo-city cicling visionary awards 2013. He was selected as finalist for the Paseo project (Zaragoza) competitions of 2012 and 2013. After an engineer degree in telecommunications and a master in computer science, Michel Deriaz did a PhD in economical and social sciences. He spent then three years in the industry before coming back at University as R&D Project Manager. Among his main realizations there are FoxyTag, a worldwide speed camera warning system with thousands of users, and FoxyTour, a museum and city guide that adapts automatically to the preferences of its user. Born the 17th of April 1976, married, 3 children, Michel has spent all his live in Geneva. 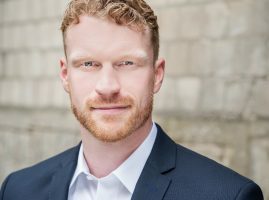 He likes different kinds of sports including diving, skiing or hiking, and is member of some professional associations like the CREG (Centre de Rencontre des Entrepreneurs – Genève). 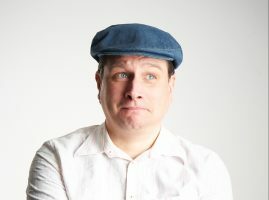 He used to finance his studies by working as a trainer for private institutions as well as for the police where he taught cryptology and computer security. 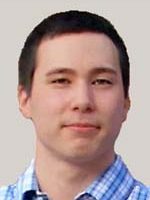 Filip Lemic is a research assistant and a PhD candidate at the Telecommunication Networks Group of Berlin University of Technology, Germany. He received the BSc and MSc degrees from University of Zagreb, Croatia. In 2015 and 2016, he was a visiting research assistant at Berkeley Wireless Research Center and Qualcomm Ubiquitous Swarm Lab of University of California at Berkeley, USA. His research interests include location and context aware wireless networks, the Internet of Things, and mmWave communication. Focuses on Navigation, Maps, Rendering and Search. Creator of kMaps application. Directs business strategies and development processes. Software engineer with extensive background in C++ and Multi-platform Development. Currently, I am responsible for the integrated data management of a novel observing system in the research field ‘Earth and Environment’. It comprises flexible and mobile observation modules which are specifically designed to investigate the interactions of short-term events and long-term trends across Earth compartments. Furthermore, I am involved in developing concepts to strengthen the recognition and acknowledgement of scientific software and to moor software engineering practices in research. In parallel, I transfer research results towards an operational system for early warning purposes in the field of natural hazards, in particular tsunamis. Before that, I was involved for nearly six years with the implementation of tsunami early warning systems in the Indian Ocean region and the NE Atlantic and Mediterranean Sea region in two successive research projects. Ahead of my research activities I have been active for more than eight years in the field of dynamic Web application development in full time and during my studies. In my education, more than fifteen years ago, I established a Web based communication and training platform for an education branch of a global technology company. 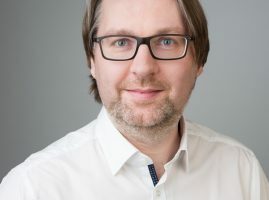 Matthias Hinz is a research fellow at the University of Rostock. 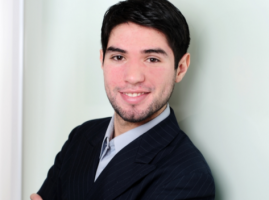 He works for the project ‘OpenGeoEdu’ (Open Data for Education and Science) and aims for a doctoral degree. 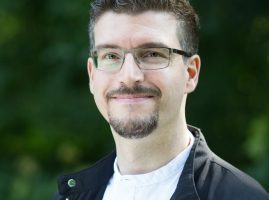 In September 2016, he graduated with a Master of Science in Geoinformatics from the University of Münster. 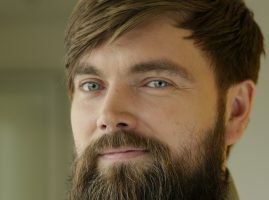 His thesis investigated capturing meaning and purpose of spatio-temporal data analyses and included a prototypical R-extension that generates provenance and semantic metadata while geostatistical computations are carried out. 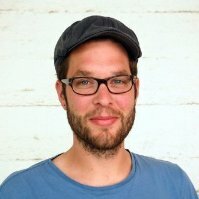 As a student, he worked part-time at the Institute for Geoinformatics of the University of Münster and the 52° North Initiative for Geospatial Open Source Software GmbH, spent ten months in Spain at the Geospatial Research Group (GEOTEC) of the University Jaume I, and joined the European Geography Association (EGEA) for students and young geographers. Julia Lebert studied Geoinformation at the Beuth University of Applied Sciences Berlin. She is working as a project manager at Mentz since two years. She has a lot of experience in OpenStreetMap and especially with Indoor Navigation in rail stations. Born in 1966, raised in Bavaria. Study of mathematics and computer science followed by a doctorate. 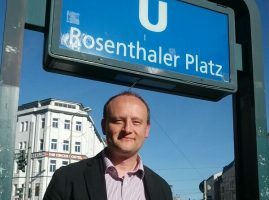 Former researcher of the Gesellschaft für Mathematik und Datenverarbeitung, today Fraunhofer Gesellschaft in Bonn. Spin-off of gekko mbH in 1994 with a focus on multimedia publishing processes. Founding of further companies in the field of online marketing. First projects in connection with GIS in the year 1996 together with the media artist Hermann Josef Hack (http://ejje.weblio.jp/content/Hermann+Josef+Hack), here among other things the »virtual roof / Virtual Roof« over Cologne. As a former middle-distance runner, his commitment to competitive sports in 2015, together with Olympian Jonas Plass, led to the founding of genia mbH. In this context, the PARADISE project for the use of anti-doping in sport was launched in 2016 together with other research institutions and SMEs. 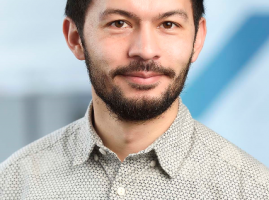 Thomas is a post-doctoral researcher at the Institute for Geoinformatics (ifgi), University of Münster (WWU), where he is head of the GI@School lab. He holds a PhD and a diploma in geoinformatics and currently works at the spatial intelligence lab (SIL) where he leads the senseBox project. His research interests are learning with geospatial technologies, citizen science and VGI. 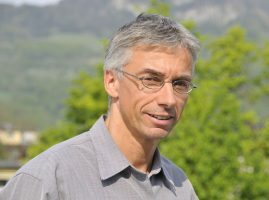 Thomas was a member of the semantic interoperability lab (MUSIL) at ifgi and worked for the Vespucci Initiative in the organization of the Vespucci Institutes for the Advancement of Geographic Information in Science. In 2013 he became a Vespucci fellow. His research, work and projects were awarded with several prizes, most recently with the CeBIT Innovation Award 2017 and the ACM Eugene Lawler Award 2013. 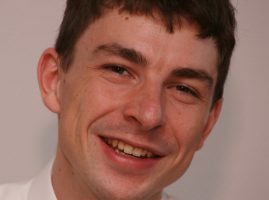 André Heinrich is a project manager and moreover the leader of the Digital Maps Team at IAV GmbH. After a master in Geoinformation he started his career in the automotive industry. Since then he managed various map database development projects and research projects related to map quality and maps for autonomous driving. Prof. Dr. Peter Mandl studied “Geography and Economy” as well as “Mathematics” (teacher for higher schools) at the University of Klagenfurt and made his PhD in Geography also there. 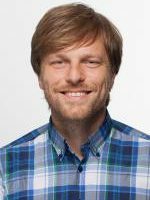 Since 1993 he is Assistant Professor at the Department of Geography and Regional Studies at the Alpen-Adria-University in Klagenfurt. He was guest-professor for “Geographical Information Systems and Remote Sensing” at the Geographical Department, University Bonn, Germany and for “Geoinformatics” at the Department for Geoinformatics, University of Münster, Germany. 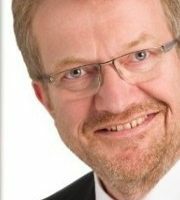 Since 2002 he is one of the speakers of the working circle “Theory and Quantitative Methods in Geography” of the German Society for Geography.